For no Rhyme Reason, children love to play outdoors and climb, slide and challenge themselves by testing the limits of their fitness and fun. And whats more? Kids will challenge their friends or family to do the same, and that leads to healthy outdoor recreation and happy kids. 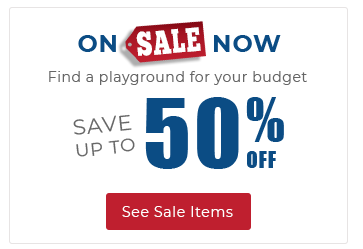 The Rhyme Reason commercial playground structure from American Parks Company can keep up to forty children aged 2-12 years engaged in productive and imaginative play. This structure has everything a park or playground needs to keep toddlers to pre-teens busy. 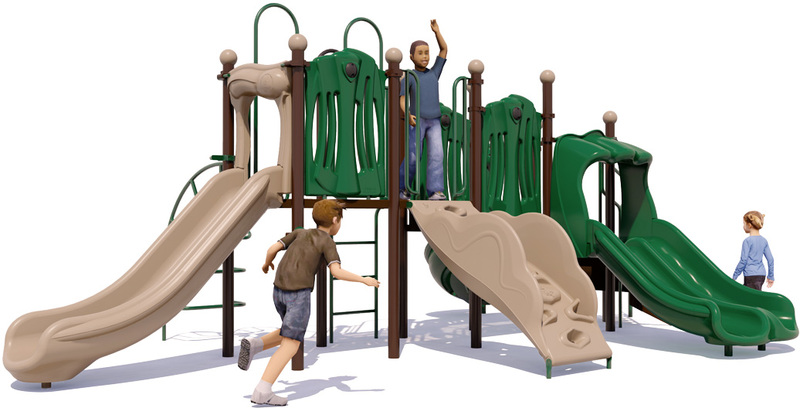 The Apex Climbing Attachment on this commercial playground structure offers small children the adventure of rock climbing by enabling easy foot and handholds to help them succeed in scaling the wall like a mountaineer. 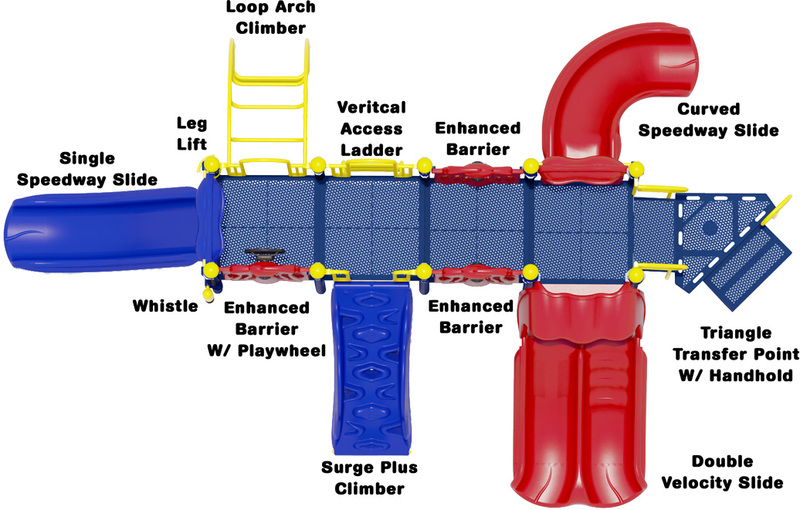 The Loop Arch Climber offers another unique variation and option to get to the top of the structure, where children can choose one of four fun slide options. Two Double Speedway Slides to safely race their friends down. One Single Speedway Slide for an exhilarating experience. Kids can make some noise with the Whistle (at ground level). 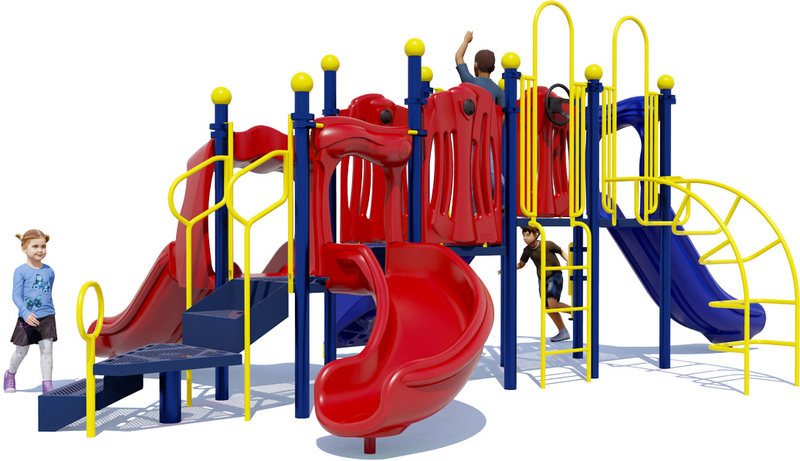 Structure accommodates up to 40 children ages 2-12 years. 12 gauge galvanized powder-coated upright posts are 3.5 in diameter. 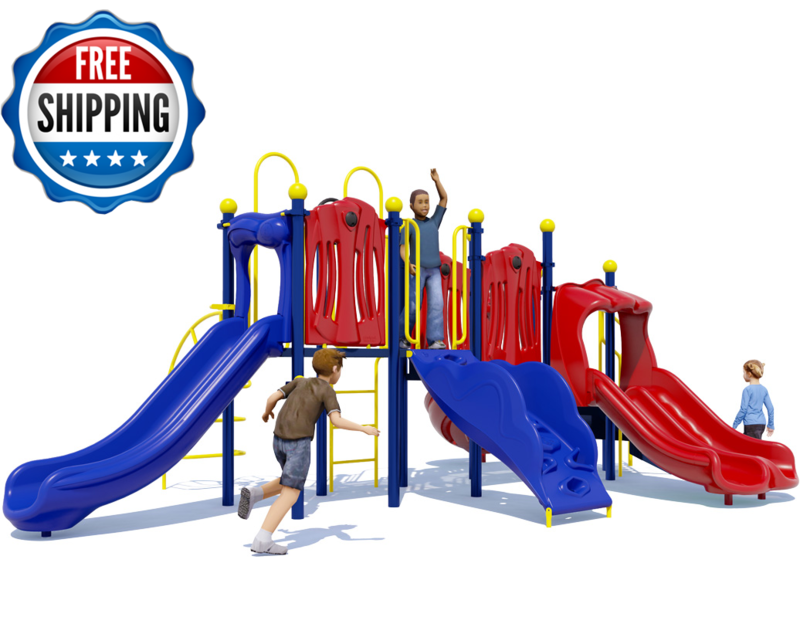 3 Slides, 2 Climbers, 1 Playwheel, And More!